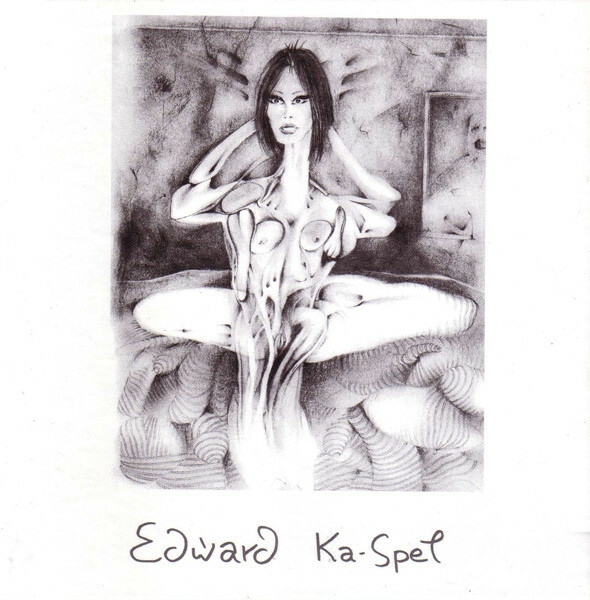 Beta-lactam Ring Records has just reissued Edward Ka-Spel’s classic second solo album from 1985, Eyes! China Doll. This reissue is its first proper CD reissue and it comes in a mini-LP sleeve containing the original artwork plus six bonus songs (“Tikko”, “And the Lord Said Rise”, and “Volicie” from Perhaps We’ll Only See a Thin Blue Line, “… Smashed into a Million Pieces” from Down in the City of Heartbreak and Needles, and the previously unreleased “Blowing Bubbles (Part 1)” and “History Book”). These early EKS solo albums are Edward’s material, distinct from the Legendary Pink Dots, but all of his LPD mates contribute to the album. The music is wonderful, a nice mixture of experimental, industrial, and pop music. I just love these simplistic EKS waltzes, twisted subject matter, and vocals. Some of my favorite songs are “Six Cats on a Dead Man’s Chest,” “<<Joey>> The Video,” “The Char Char,” and the epic “Hotel Blanc.” Eyes! China Doll is the second album in Edward’s China Doll series, which will all be eventually reissued on Beta-lactam Ring Records. Either you love or hate the music of the Dots and EKS. If you are of the former, definitely get this highly recommended reissue. You may even catch yourself humming along!